Keyword Perspective -- In this article, we are going to discuss a major problems involving keyword selection for existing businesses. It is a simple mistake, but one most people do not think about. The two prime Internet marketing platforms are pay-per-click advertising and search engine optimization. The issue we are going to discuss today applies equally to either of these platforms as well as any other internet advertising you undertake. The biggest mistake most businesses make with marketing is keyword perspective. Keyword perspective refers to the point of view one has when developing keywords for any type of Internet marketing. There are primarily two perspectives, but each only works with one audience. If you get them crossed up, you are in for a nightmare. The industry perspective is usually the area where I see the biggest problems. Industry perspective refers to using industry terminology to develop keywords instead of using terms your prospects actually use. For example, a mortgage professional might view HELOC [home equity line of credit] as a keyword. Most prospects, however, are not going to search for this acronym. Instead, they will search for home equity line of credit or simply line of credit. When you are marketing to the general public, do not use industry terms. Instead, use the terms your prospects apply to your services or products. The opposite of the industry perspective is found in the business-to- business field. If you are providing services or products to businesses, than you may very well want to use industry terms! If you sell medical equipment to hospitals, your prospects are going to be both sophisticated and using technical terms in their searches. They will search for medial collateral ligament isolation braces instead of knee brace. In the business-to-business scenario, use of laymen’s terms for keywords my kill your marketing plan before it gets off the ground. 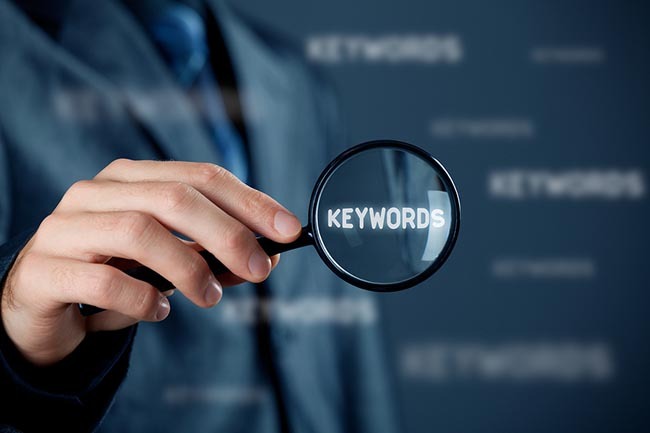 Whatever your business, picking keywords is all about knowing your audience. Focus on terms your prospects actually use and you will have a good starting point for your marketing plan.